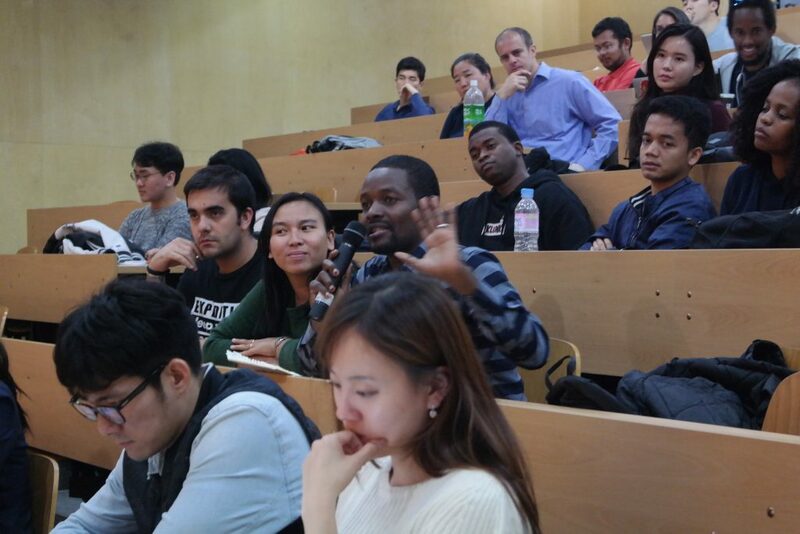 We invited a special guest Ms. Theresa Rah, Co-CEO of Oratio and Communications Director of the PyeongChang 2018 Winter Games Bid Committee. Ms. Theresa Rah shared her invaluable experience and knowledge under the theme of “Effective Communications for Winning Bids”. 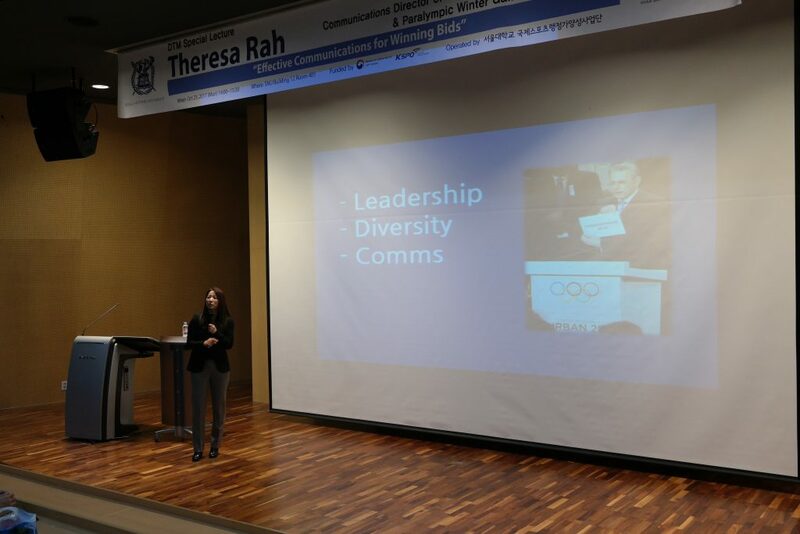 Theresa Rah is a communications expert and lecturer in Korea. She spent most of her childhood living abroad in different countries following her diplomat father before settling down in Seoul. 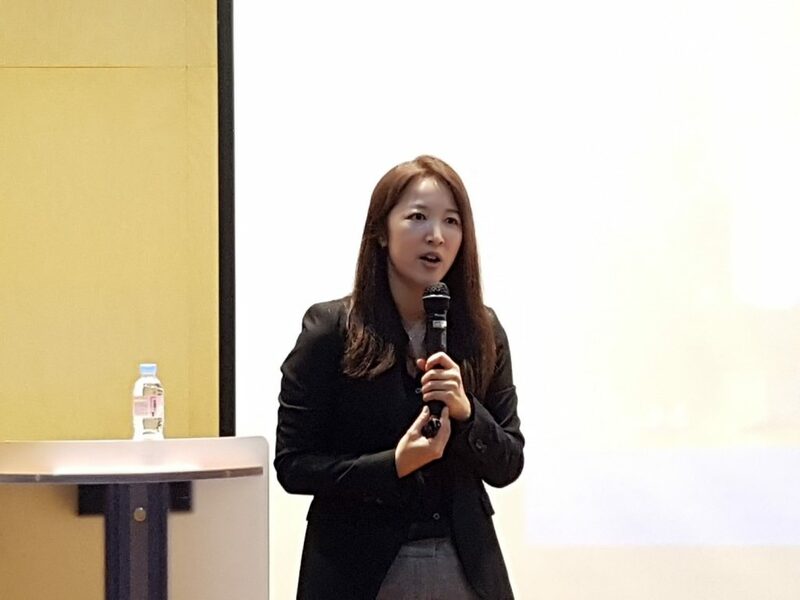 After graduating Ewha Womans University, Theresa started her career at Arirang TV as a news anchor and gained experience as presenter on various TV shows and international conferences. She also served as Communications Director for the PyeongChang 2018 Winter Games Bidding Committee. She is currently co-CEO of Oratio, a communications consulting firm that specializes in creating communications strategies, writing presentations and speaker training.